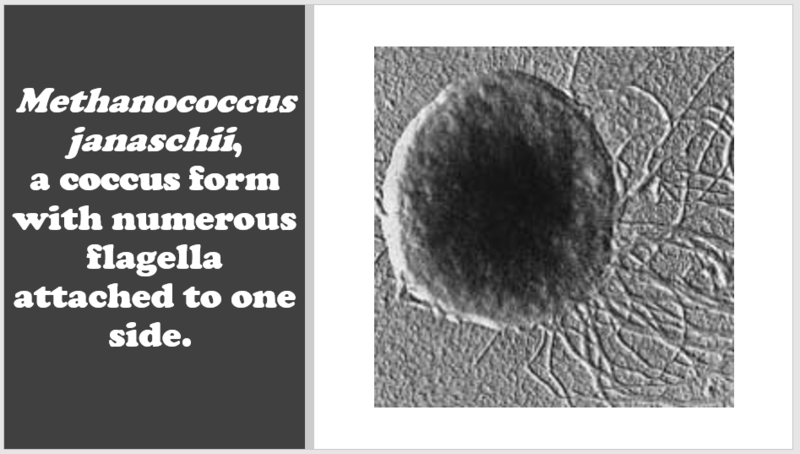 • The name Crenarchaeota means “scalloped archaea.” they are often irregular or somewhat "scallop-shaped". •All crenarchaeotes synthesize a distinctive tetraether lipid, called crenarchaeol. 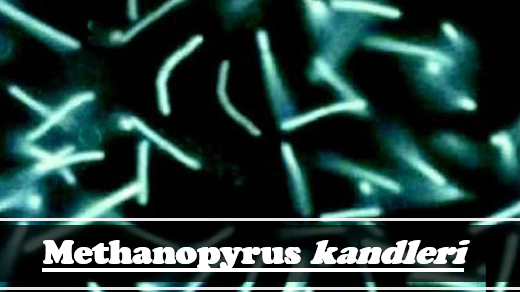 Methanopyrus kandleri has been discovered which can survive temperatures up to 122°C. The definition of an anaerobe, is that they do not need oxygen. 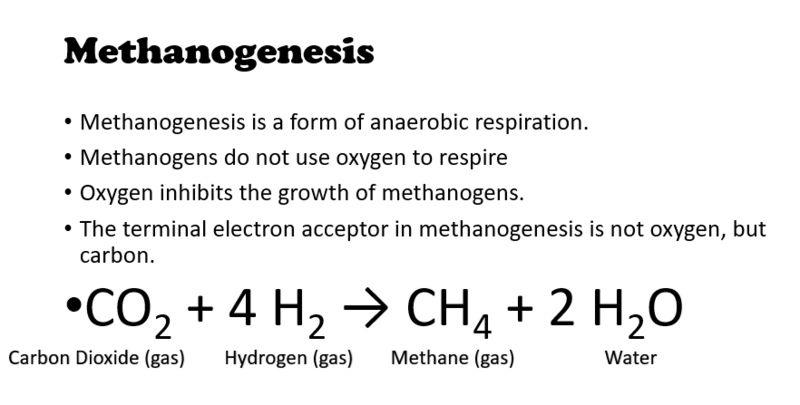 Methanogens are actually killed by oxygen gas. 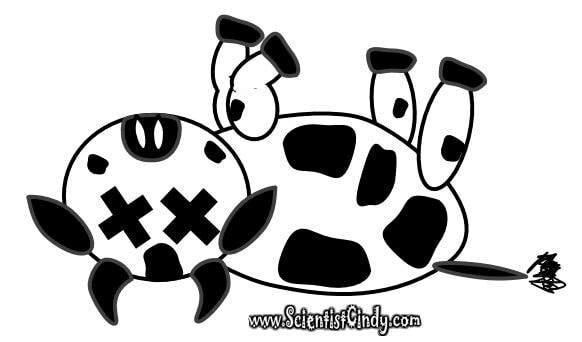 Millions of Tons of Methane Gas is Released From the Methanogenic Archaea in the G.I. 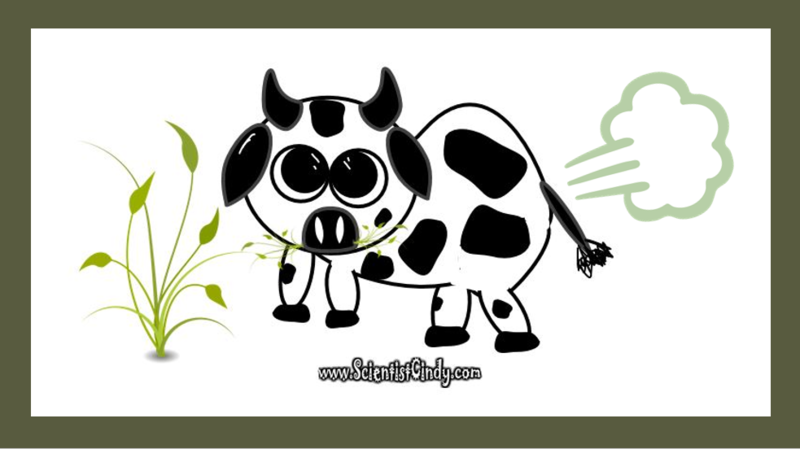 Tract of Cows Each Year! 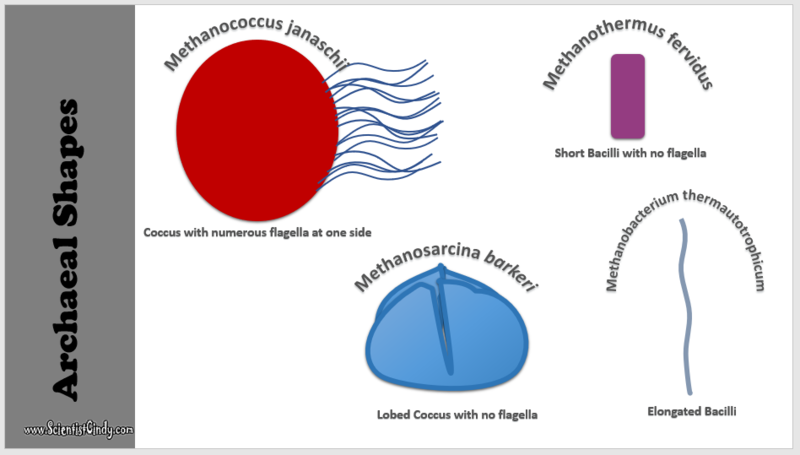 Methanogens can also be found in dead and decaying matter ​. 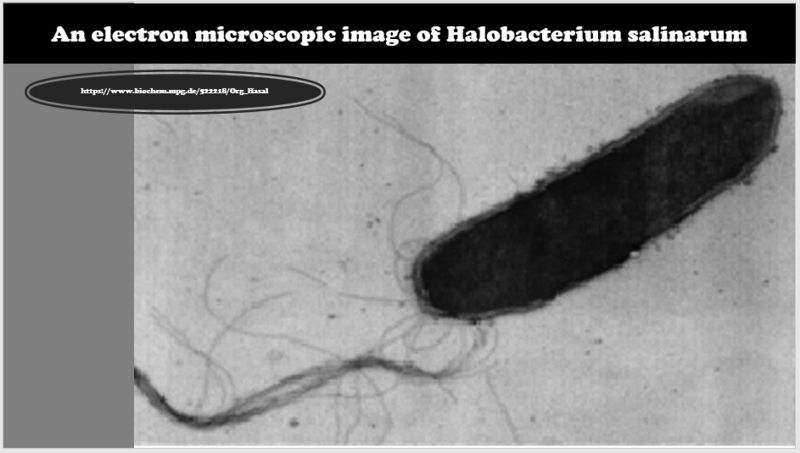 The halophiles are a group archaea from the euryarchaeota phylum that produce requires large concentrations of salt (NaCl) to survive (halo = “salt”; phil = “loving”). Found in places like the Great Salt Lake in Utah and the Dead Sea. The euryarchaeota phylum also contains a number of other extremophiles. 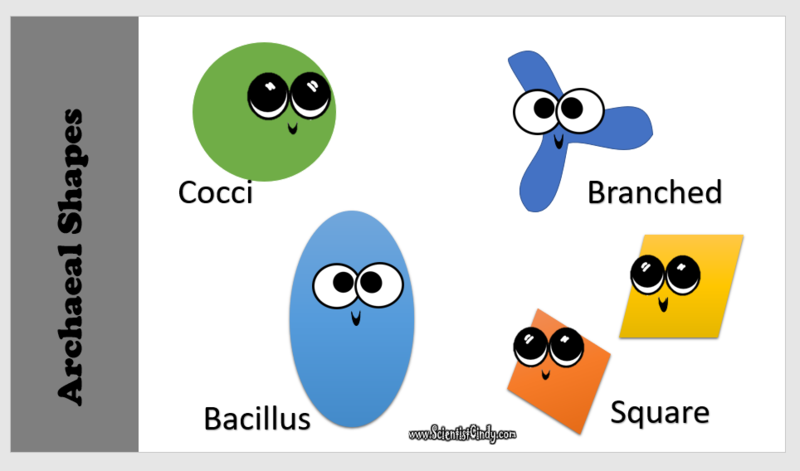 ​This phylum gets its name from the Greek word meaning "young man or woman". They are found in high temperature hydrothermal environments. 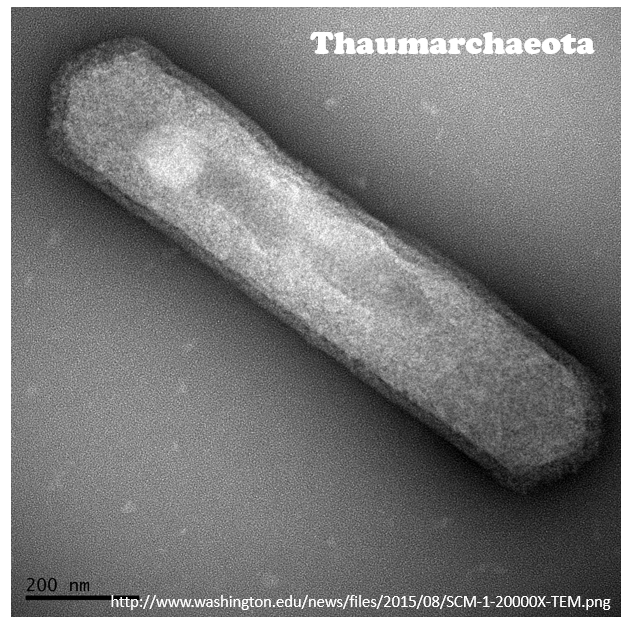 ​The archaeal phylum Thaumarchaeota gets its name from the Greek word meaning "wonder". The odd name for this phylum came about due to the sequencing of the C. symbiosum genome in 2008. 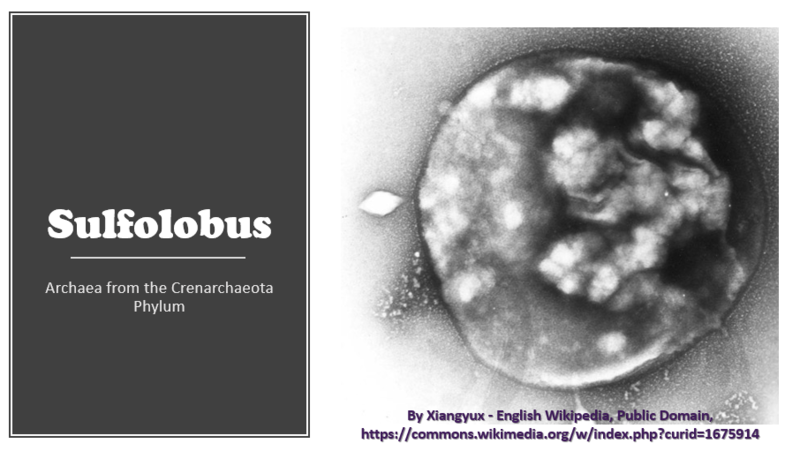 The C. symbiosum genome was found to be so unique from the other known archaea, that a new phylum was created! play important roles nitrogen cycle and the carbon cycle. has type I topoisomerase that was previously thought to only exist in eukaryotes. 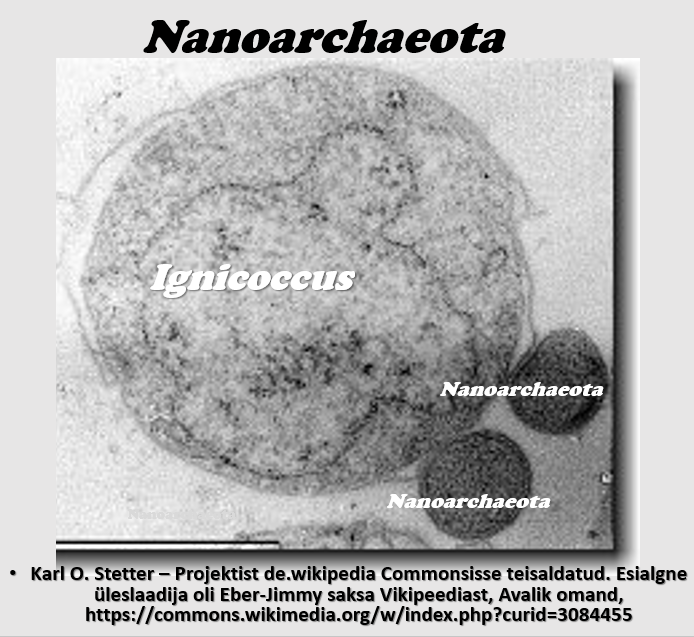 The Nanoarchaeota get their name from Greek word meaning "old dwarf“. 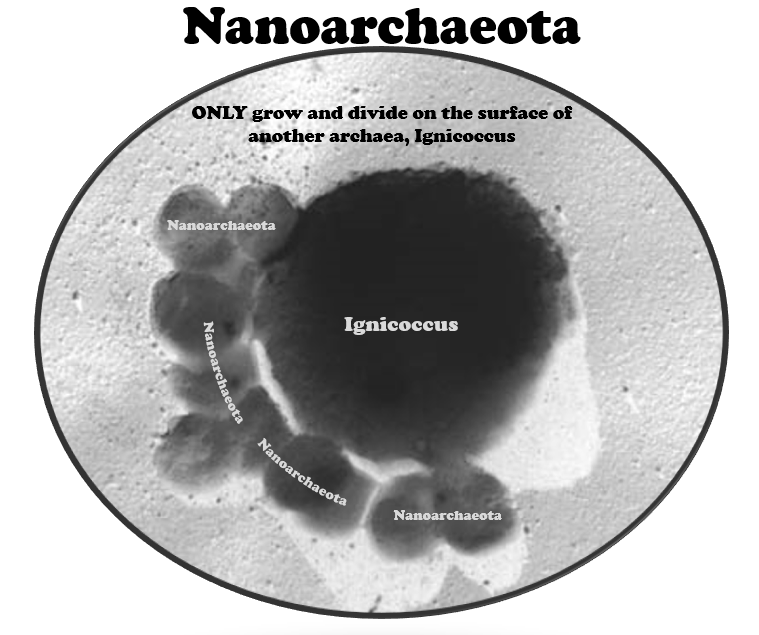 They ONLY grow and divide on the surface of another archaea, Ignicoccus. 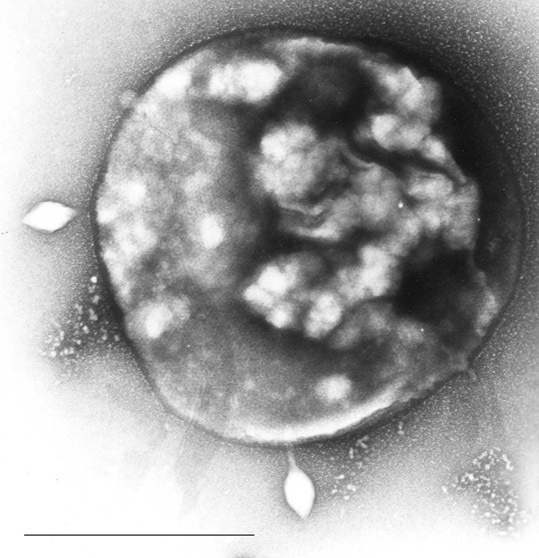 Nanoarchaeota, are the smallest living cells ever discovered measuring only 0.4 micrometers. 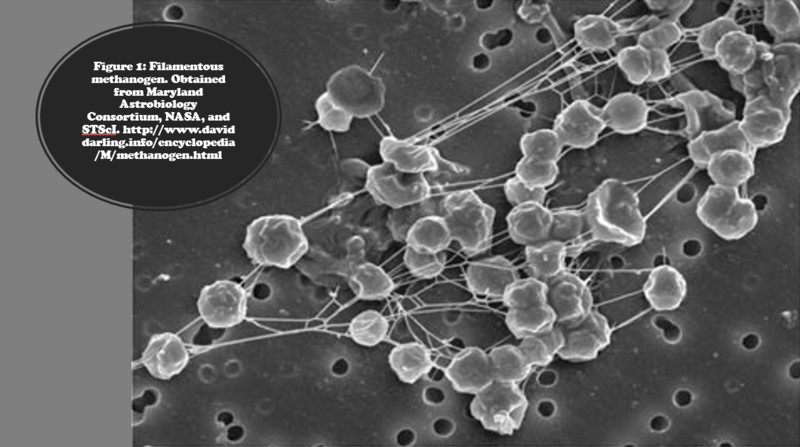 Nanoarchaeota, also have the smallest genome of any living organism we know of, measuring only 480 kilobases.